We’ve run into a problem with your Office 365 subscription, and we need your help to fix it. The same issue can occur when somebody leaves the company and you disable his/her account and remove the Office 2013 from the account while the license is actively used on a workstation. 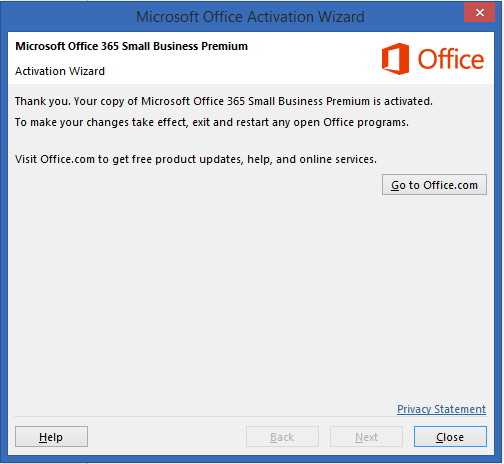 The Reactivate button won’t work here since i twill connect using the existing credential, and this one had the Office 365 license removed. Clearly visible it the grade periode. The last 5 characters of the installed product key are listed as well, please note them or copy them onto the Clipboard. When finished, reboot the computer, logon again and start (for example) MS Word. Word will ask you to reactive the problem. 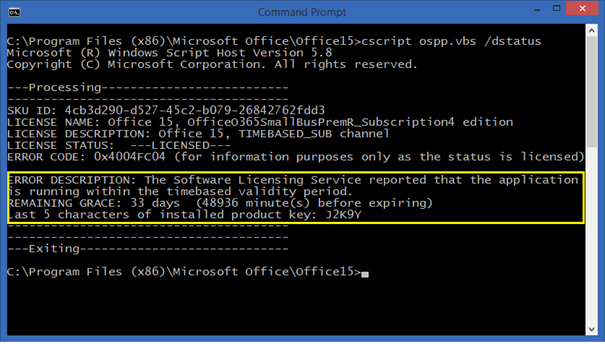 Logon using a different credential and Office 2013 will be licensed again. Thank you a bunch. This helped me out with a client on-site. Very simple.